What Do I Need for This Video? If you were a Roman, where would you put a mosaic in your house? What design would you use for your mosaic? What was difficult about creating a design in your mosaic? Check back soon for answers to your questions about mosaics! Do you have a question you would like to ask? Click here to send us your questions! 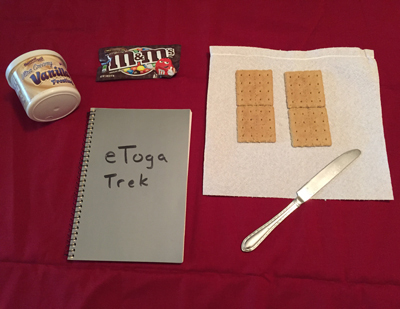 Follow eTogaTrek Throughout The Year! eTogaTrek is a program of Ascanius: The Youth Classics Institute. Programs like this are made possible by the generous donations from supporters and members of Ascanius.